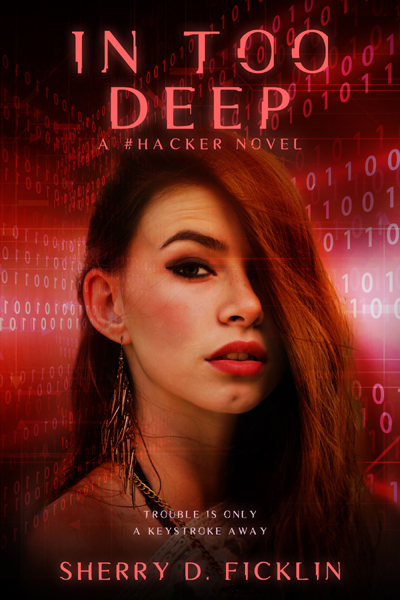 Clean Teen Publishing is proud to present the cover for #Hacker: In Too Deep, the follow up to Sherry Ficklin's highly anticipated book #Hacker: Playing With Fire, releasing October 27, 2015. 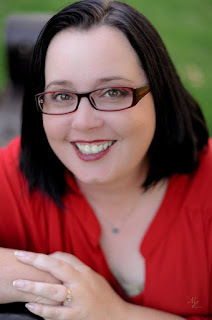 When one reckless night leads Farris Barnett to the dead body of a classmate, she’s as willing as everyone else to write it off as a suicide. That is, until cryptic messages start coming in from someone who knows the truth, and they want Ferris on the case. Putting her hacker skills to work, she begins to unravel the life of a victim who might just have been the guiltiest of them all. Her personal life in turmoil, Farris turns to the only person she can trust to help her get to the bottom of things—a friend on the verge of becoming much more. 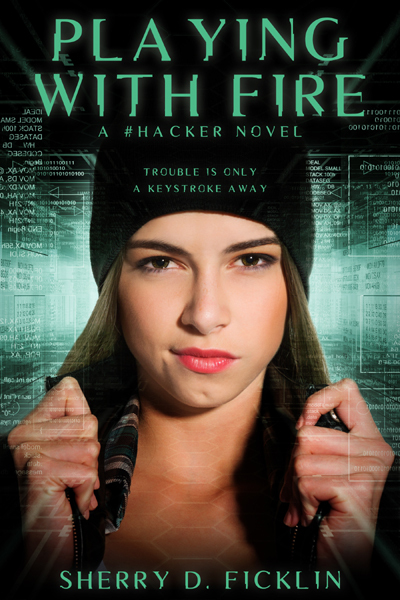 Together, they confront a killer with a secret not even she could have decoded.